Much has been tried and tested in the two decades since I’ve been in the safari industry to rehabilitate and conserve black rhinos with varying degrees of success. When I lived and worked in Zimbabwe in the early 90s a huge de-horning programme was underway whereby rhino were darted, their horns removed, and they were re-released. The idea being that if the rhino had no horn, poachers wouldn’t target them. The results were mixed and the concept has been hotly debated time and again (Will Dehorning Rhinos Save Them?). Rhino conservation has made significant progress all over Southern and East Africa. Projects in Kenya, in particular, have seen numbers climb steadily. 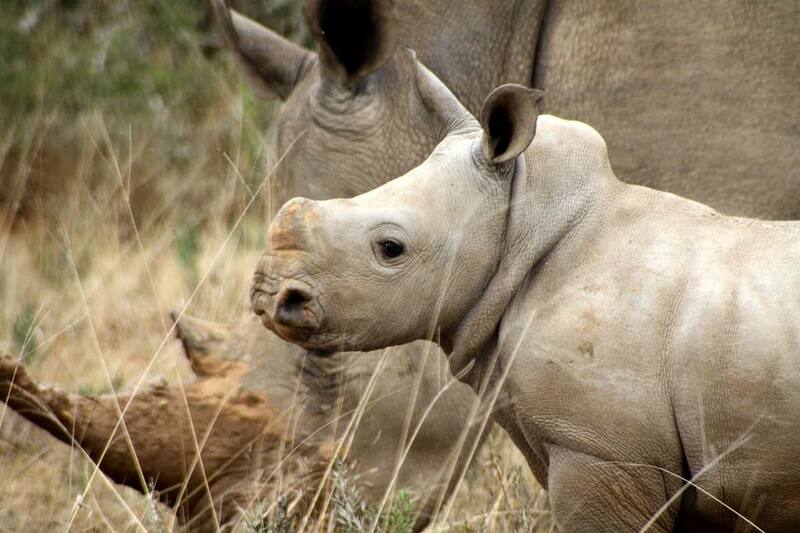 Globally, charities like Save The Rhino, Save the Rhino Trust, and the World Wildlife Fund (WWF) have been banging the drum to keep the plight of rhinos in the headlines, as well as raising funds. Many private reserves in Africa like Lewa Wildlife Conservancy and Ol Pejeta Conservancy in Kenya are great role models of community and conservation tourism working hand in hand to help promote conservation and have healthy rhino populations. 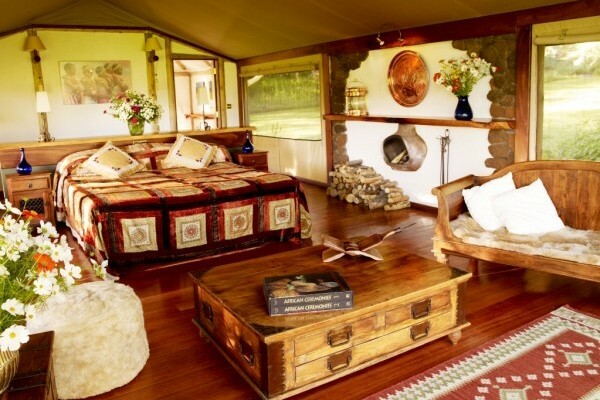 Visitors can stay in great camps in the conservancies such as Sirikoi Lodge at Lewa Wildlife Conservancy and Kicheche Laikipia both in Kenya, which attract tourists from around the world. Every client has a £60+ conservation fee per person per night built into the cost of their stay. 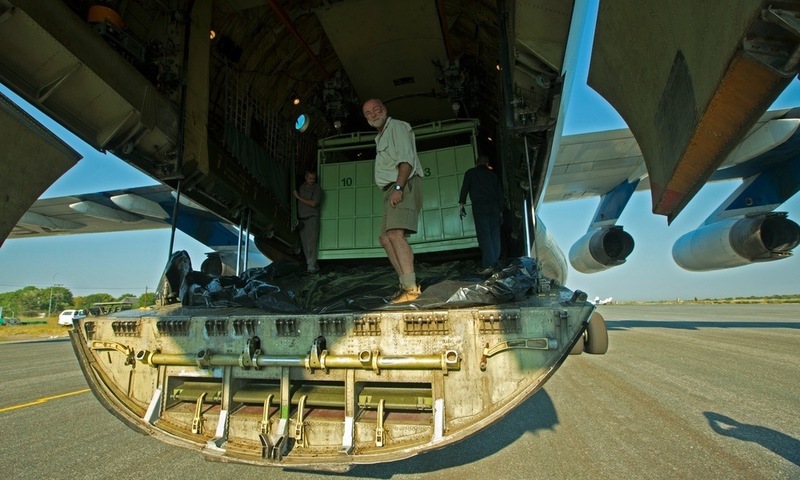 This helps fund anti-poaching, good fencing, veterinary care, etc. These on the whole have been really successful. There are similar private conservation projects in Namibia, South Africa, and beyond. Continued tourism is still one of the best forms of conservation. It creates multiple jobs and generates wealth at a local and national level. The countries certainly don’t want to lose their tourist pounds and realise the need to protect their animals. In the last two to three years the demand and subsequent price for rhino horn has gone through the roof. Even these well-funded conservation reserves are being attacked by poachers and most have lost rhino over the last few years. Reserves are ploughing money and manpower towards further protecting rhino but as a result, it’s reaching the stage where tourism alone cannot produce the revenue needed. 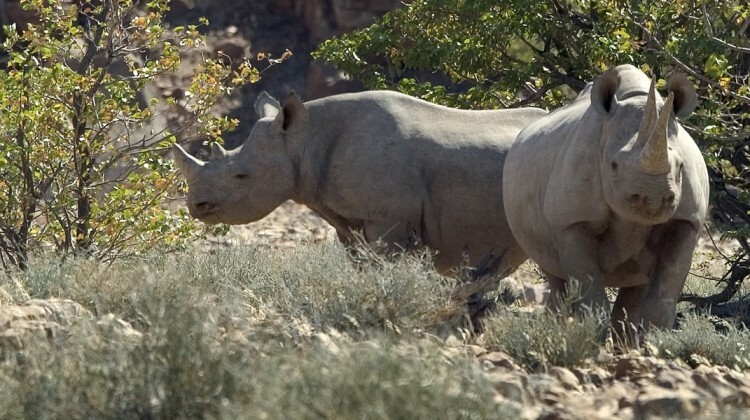 The same issues affect the larger national parks in South Africa and Namibia where some rhino roam free. Protecting rhino in South Africa is proving particularly problematic although Namibia is experiencing fewer problems so far. In Botswana, andBeyond’s Rhinos Without Borders and Great Plains Foundation are embarking on a very ambitious project right now to relocate and protect rhino. This highlights the monumental efforts people are making to try and ensure there are some of these iconic beasts around for future generations. In a bid to curb demand for rhino horn and ivory there are real efforts underway to re-educate people about the impact of poaching. One of the most recent efforts comes in the shape of Chinese basketball legend and conservationist, Yao Ming, who stars in a new film, ‘The End of the Wild’. In it, we follow Yao Ming and Peter Knights of WildAid on a 12-day trip through Kenya and South Africa as they come face-to-face with the realities of the poaching crisis and learn about the toll it’s taking both on endangered elephant and rhino populations and the communities that coexist alongside them. At Aardvark Safaris we always handpick our partners and recommend those that have conservation and community tourism at their core. If you would like to find out more about ethical rhino safaris please email or call us.